You want to go to Rome in Italy in march : check the weather and seasonal norms below. The weather in Rome in the month of march comes from statistical datas on the past years. You can view the weather statistics for all the month, but also by clicking on the tabs for the beginning, the middle and the end of the month. The climate throughout March in Rome is gradually improving. Climatic conditions are characterized by the presence of sun and the rise in temperature. A pleasant sensation is felt throughout the day. If the beginning of the month is rather cold, midday allows to benefit from favorable weather, thanks to the gentleness of the atmosphere. The days of the first weeks are pleasant. They generally begin with a rather mild morning, but that is acceptable with the wearing of comfortable clothes. Then, midday allows to enjoy a pleasant atmosphere - favoring the visits of tourists. As for the evenings, the sky is often cleared to allow enjoyable outings in the most romantic city in the world. Towards the middle of March, the rise of heat allows for the opportunity to spend beautiful sunny days. Even if the mornings are still mild, the temperatures continue to climb over the passing hours to allow for a pleasant feeling by midday. This part of the day is pleasant to discover Rome in all its splendor. Especially as the weather throughout March in Rome is nice. This is true, in spite of the sporadic rains which occur from time to time. The weather in Rome throughout March experiences a slight drop in temperature. In fact, on may be disappointed if expecting more mild weather, following the heat felt in the second ten day period. Do not be surprised by the coolness of the mornings. The weather in march in Rome is rather dry (with 108mm of precipitation over 11 days). It should be noted an improvement from the previous month since in february it receives an average of 121mm of precipitation over 13 days. The climate is rather fresh in that area the month of march, but it is endurable when dressing cosy. 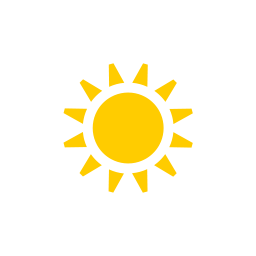 Temperatures are up to 16°C. The minimum is 10°C. Thus, the mean temperature average in march in Rome is 13°C. These temperatures are far removed from those records observed in Rome in the month of march with a maximum record of 24°C in 2016 and a minimum record of 0°C in 2011. You can hope to have about 6 days with temperatures up to 18°C, or 19% of time. On this month of march, day length in Rome is generally 11:54. The sun rises at 07:23 and sets at 19:17. With a correct climate, this month is okay (but not good) to go in Rome in Italy. Check below seasonal norms These statistics are compiled from the weather statements of the last years of the month of march. Weather data for Rome for march are derived from an average of the weather forecast since 2009 in Rome. There is a margin of error and these forecasts are to be considered as general information only. The weather in Rome can vary slightly from year to year, but this data should limit surprises. So you can pack your bags or check for the best time in year to go to Rome. Best time to go to Rome?